Arnold blends right in with his bright pink flamingo family. Then a growling gang of lions stops by and demands that Arnold should be more lion-like, just like them. Poor Arnold tries but misses his old life. But then his flamingo family is threatened by the growling gang. Is this the moment when Arnold will find his roar? Arnold is a pink coloured lion. He lives in a waterhole with his pink flamingo family. One day a pride of lions passes by and spots Arnold. They tell him that he is a lion just like them and try to teach him how to be a lion. Unfortunately, Arnold doesn’t like running fast chasing other animals, nor licking his fur clean. He also struggles with roaring too, and so he ups and leaves them and goes back to the flamingos. When he gets to the waterhole a large alligator has moved in and refuses to leave. This makes Arnold angry and soon he is roaring very loud. His roar even brings the other lions over to see what is happening. The alligator gets scared and runs away. Now Arnold and his old family can have their waterhole back and his new family can join in the fun too. 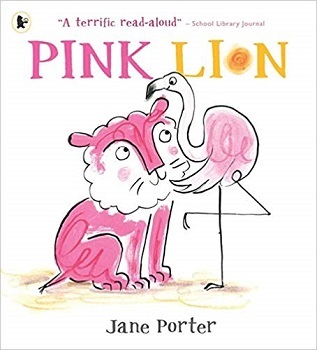 Pink Lion is a short, very sweet children’s book by Jane Porter. It has been wonderfully illustrated and has some great pictures throughout, mainly drawn in pinks and yellows. The book is about learning to be yourself, even if that means you are different from those around you. The sentences are very short and in bold black letters making this book easy for a new reader to read. I feel that whilst the message was there I’m not sure how clear it would be to a little child, I think it is something that an adult would have to explain. It is a fun, little book that I’m sure will be enjoyed by lots of children whether as a solo read or a class read. Jane Porter is an illustrator specialising in work both for and with children. Her work ranges from picture and novelty books to children’s maps, murals and hand-made books suitable for outreach work. 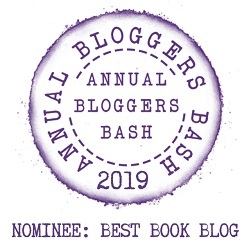 She has worked for a number of organizations, including the National Trust, English Heritage, London Zoo, the Corporation of London, Historic Royal Palaces and the National Health Service. When she’s not working, Jane is often to be found out on the River Thames in a coracle or skiff, looking out for passing bats, cormorants and wagtails.